From the Royall Must Fall Facebook page. 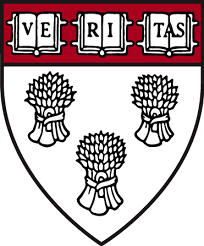 Via Wikipedia, the arms of Harvard Divinity School, Kennedy School of Government, and Harvard Business School. 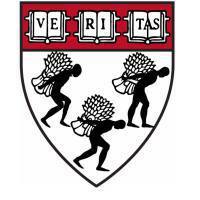 For the meanings of these and other Harvard shields, see Mason Hammond’s multipart article “A Harvard Armory”, which appeared the Harvard Library Bulletin in the early 1980s. Whether you believe it should or should not, the Washington Redskins’ helmet sadly offends a portion of our country’s Native American population. Therefore, it lands at No. 32. 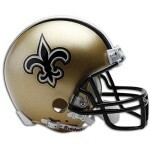 But then number 31 is the New Orleans Saints, for similar reasons. many feel it is racist in nature due to its history (which you can look up and decide for yourself). It seems like a rebrand is needed at this point. Washington and New Orleans are tied for the worst in my humble opinion. I thought this sounded suspiciously like an urban legend, but Article 38 of the French Code Noir really did order the branding of a fleur-de-lis on the shoulders of runaway slaves, among other indignities. But I confess I am not sympathetic to getting rid of the fleur-de-lis. Slavery was a cruel system, and the racism used to justify it is still with us in more than a few ways. This one historic use of the fleur-de-lis, however, is surely not enough to ruin its long and distinguished heraldic history. One cannot help but think that in this case, things really have Gone Too Far. This entry was posted in Academia, British Empire, Controversies, Design, Eighteenth Century, French Empire, Heraldry, Monuments, Primary Sources, Slavery, Symbolism by jgood. Bookmark the permalink.